A Bluestem Prairie: Will VA Secretary Peake apologize to veterans? 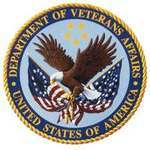 Will VA Secretary Peake apologize to veterans? VA secretary Peake suggested some of the concern about post-traumatic stress disorder and traumatic brain injury has been overblown. Many of the brain injuries are serious but some of them are akin to what anyone who played football in their youth might have suffered, Peake told Guinn. "Just because someone might need a little counseling when they get back, doesn't mean they need the PTSD label their whole lives." Might need a little counseling? This fundamental lack of understanding of both combat injuries and their treatment is inexcusable coming from the individual charged with leading the VA. In this context, however, it's no wonder that the VA is under Congressional scrutiny for downplaying the extraordinarily high number of suicides among veterans. Likewise, it comes as no surprise that VA officials have recently been caught instructing caregivers to diagnose returning troops with "Adjustment Disorder" instead of PTSD in order to save money. This is clearly a pattern that reflects an overarching strategy on the part of the VA to disregard the injuries of Iraq and Afghanistan veterans. The post reminded us of Blue Man's Memorial Day Post, Remembering Old Friends and an Unjust War Today, in which Hal takes to task those who wish to equate veterans benefits with "welfare." This is disturbing stuff: it's almost as if we're witnessing the birth of a new stereotype about our nation's newest wave of veterans. And that stereotype will give aid and comfort--and talking points--to those who aren't willing to respect military service, recognize the sacrifice of veterans' families, and to fund what we Americans owe our veterans. I was in the Army during the mid-sixties when Vietnam was just getting started. I saw how our guys were treated when they came back and some of my friends didn’t come back at all. So it was good to see the turnout last fall when the troops came back from Iraq, with the fire engines, the school bands, the Patriot Guard’s motorcycles, the other Veterans and all the American flags along their pathway as they came through town. The Vietnam Vets never got that kind of treatment years ago, but it made me feel really good when our country didn’t forget this time. But about a week ago a mother of one of the Iraq Vets told me a different story. It was about an Iraq Veteran who came back with long-lasting wounds that required quite a few trips to the VA Hospital. This Vet had been part of the parade when he came home and he saw the flags and heard the cheers and it made him feel good. Then he got a job at a long time employer in the New [Ulm] area that he really enjoyed. The hours were good and so was the pay. His life seemed to be getting back to normal, as much as it could. But soon things changed. Co-workers complained about the trips to the VA Hospital because they had to pick up his workload during those times. I guess it was OK to go out and wave the flag and watch the parade, but when it came to actually making a sacrifice to support someone who had made a huge sacrifice for them by going to Iraq, well then I guess they really didn’t want to do quite that much. That pressure caused the veteran to leave that company for another job, out of town and not as convenient for his family. It was a sad story to hear and it reminded me of the mid-sixties again. I thought we had come so far since then but I guess not. So, the fire trucks are now silent and the flags are put away again. I guess the parade is over. Time to put the patriotism back in the closet until we need it again. It looks like “Support The Troops” is just another sign on the lawn for some people. Pretty sad. Pretty sad. Can’t we do better? We've got to do better, and equating PTSD with sports injuries isn't helping. If the VA Secretary can't respect combat injuries, what stigma was there for co-workers behaving badly in the New Ulm area? Congressman Walz serves on the House veterans committee; establishing centers for traumatic brain injuries and research about them has been one of his priorities. (Here's a story of a homecoming for soldiers who suffered TBI in Iraq). Some people get it--perhaps it takes a former coach like Walz to understand what a nation owes those injured on the field of battle. Background reading: several years old, but there's an in-depth look at the politics of PTSD here.